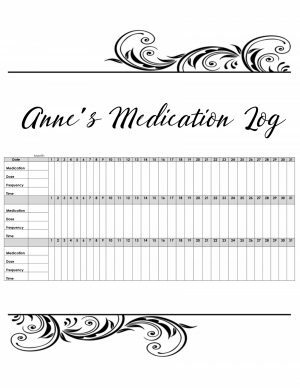 Free printable medication log sheet in various formats. 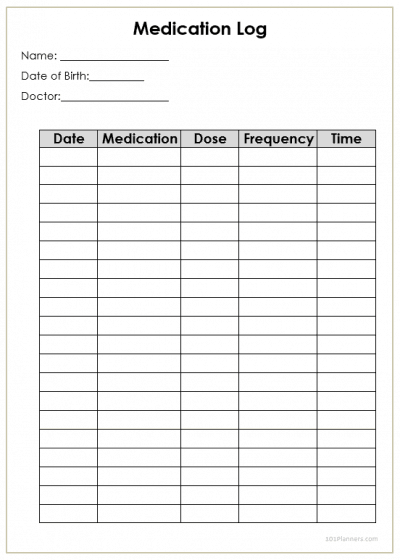 Since the medication sheet is editable you can adapt it to your needs. 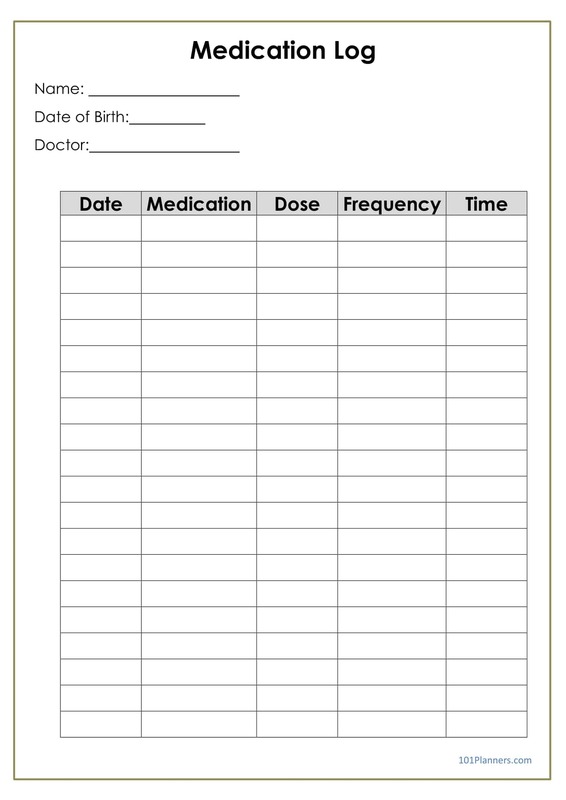 There is a free medication list template in Word format that can be customized. It is a blank page with a simple border. There is a printable medication list that cannot be edited. This is available in jpg format. 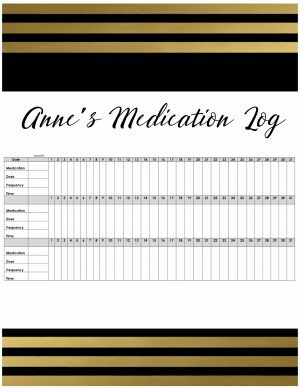 Medication log sheet PDF format that cannot be edited. 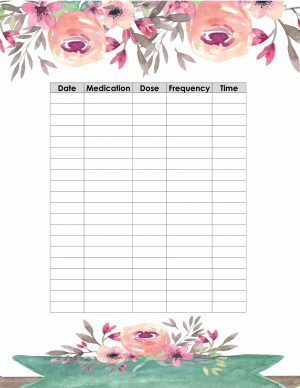 There is a medication schedule template with 101 different backgrounds for those who want a pretty version. 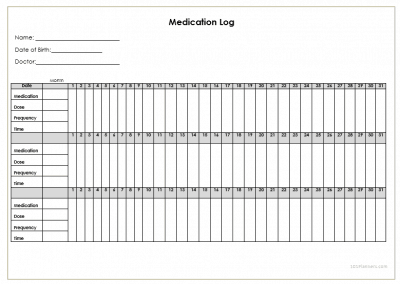 You can select any background and any format for the medication log. You can also add text and photos. For example, you can add a photo of each medication. 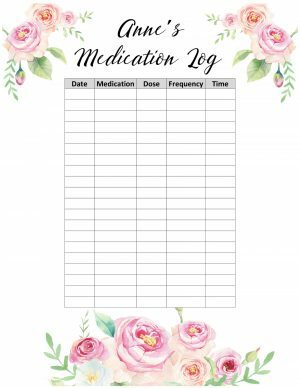 This free printable medication log is available in any planner size so that you can insert it into your planner or use it as is. Add any background, add text and images. See below. Print as is in PDF format. Print as is in Jpg format. 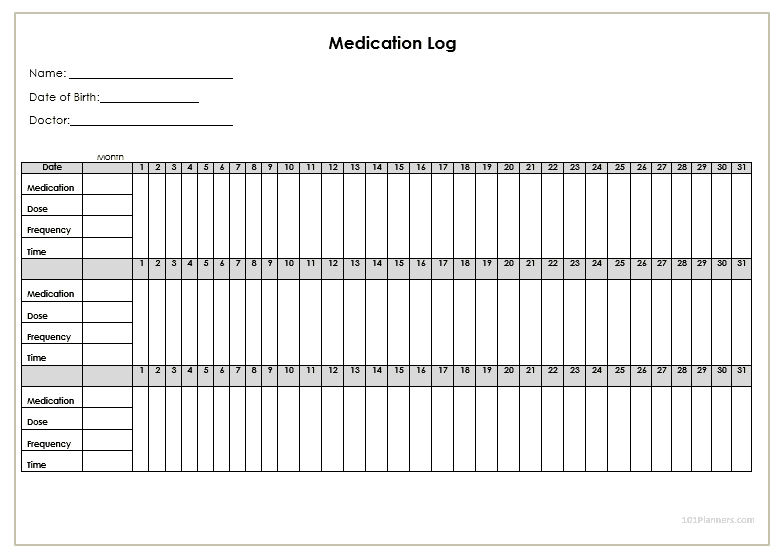 Full SizeUS Letter: 8" X 11"
Select the medication log template that is closest to your ideal form. Open the format that you want to use. If you want to edit the template then use the Word format. 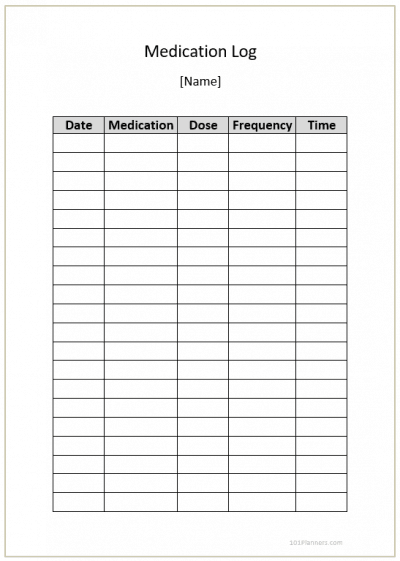 There are two methods to print a medication log sheet in PDF format. You can either select a ready-made sheet and download it as a PDF file or you can create your own custom sheet and select your background and text. It takes about 2 minutes to make and can be customized free and then downloaded as a PDF file. The first option is a blank white sheet with a simple grey border available in one size only (full page). The second option enables you to select any background you want in any size.